Got a million or two spare? Or maybe three? I’m not sure how much these things cost. Anyway, one of the world’s major commercial collections of silent films is up for sale. 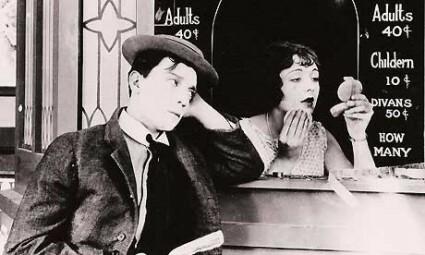 The Rohauer collection of some 700 titles, including many Buster Keaton titles, is being offered for either licensing deals or for a buyer to take the whole collection. The legendary collection was built up over three decades by collector Raymond Rohauer, around whom many a story has revolved but who has been rightly credited with bringing Keaton’s name back into public recognition. It sees potential buyers among those looking for steady income streams from licensing deals to the DVD, TV and video-on-demand industries as well as from film festival royalties. It also believes the collection could catch the eye of academics or a film enthusiast. If you are interested in the story of Rohauer’s restoration (in more than one sense) of Keaton’s reputation, there’s an informative piece by David Shepard, ‘Polishing the Stone Face’, which discusses the problems involved in creating authentic restorations, because Rohauer had an unfortunate habit of ‘improving’ the prints in his care, rewriting titles and making editorial alterations.